Learn how to easily & effectively convert higher-paying clients as quickly as possible. WHY DO YOU NEED TO LEARN ABOUT LINKEDIN & SOCIAL SELLING? Your prospects and clients are using Social Media. Over 70% of high net worth individuals use Social Media* and are turning to sites like LinkedIn for financial education or research. Hot prospects are looking at your profile RIGHT NOW to research who you are, and whether or not they should work with you. Are you building trust, or are you losing opportunities EVERY day? Did you know: Almost 1/3 of high net worth individuals said they have taken action as a result of reading financial content on Social Media.*? How to Increase your sales pipeline and generate more revenue. Key ways to outperform and outshine your competitors. This course was made for you if you’ve been waiting for the right solution to help you feel confident that you’re using LinkedIn and Social Selling PROPERLY using the right strategy and etiquette. This program is designed to fast-track your experience, save you hours of endless frustration and spare you from expensive trial and error. You will be provided with a complete step-by-step sustainable system - with cut & paste copy - so you'll avoid making any mistakes & get focused on producing the most profitable results in the shortest time possible. And the good news is...you don't need ANY technical experience - at all! This 7-module program is designed as an easy-to-follow, step-by-step system that will transform your sales & marketing process - in the shortest time possible. Each video module takes less than 30 minutes, and includes worksheets to make sure the lessons are both actionable and implementable. 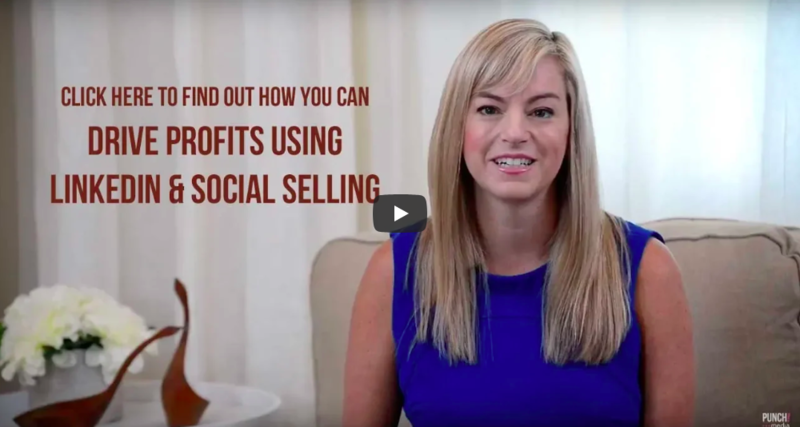 Module #1: How to use Social Selling to amplify your business. Getting clear on your value, messaging & top ways to manage your time. Module #2: Social Selling Netiquette. The 'do's & don'ts' when making new connections including cut & paste copy across multiple touchpoints. Module #3: Building your thought leadership & dominating your niche. What to publish & when to publish content. Module #4: Developing a powerful first impression that fascinates your prospects and generates inbound leads. Module #5: Sales enablement: Advanced ways find high quality leads, 'money-in-motion' and sales triggers. Module #6: How to personalize your approach, & deepen relationships to map out the path to purchase and nurture sales conversions. Module #7: Designing a sustainable playbook for the future. How to make the most of your time online & ways to empower clients to refer more business your way. Designed as a complete social selling system, this program will help you to attract the right prospects via inbound leads, and provide you with the right approach for outbound sales. BONUS #2: Access to an exclusive online group/Mastermind where you can connect and ask questions. I’ve invested in programs that are upwards of $2,000 – and I know that converting even ONE new client will be worth WELL more than that investment. The bonuses alone are worth well over $2,000. I'm eager to get you started RIGHT NOW to take action. To get lifetime access to all 7-modules plus the bonuses is a one-time payment of $497 US. Are you ready to enhance your skills & convert higher paying clients? I’m an Adjunct Professor of Social Media and corporate trainer who has been working in the digital landscape since 1997. 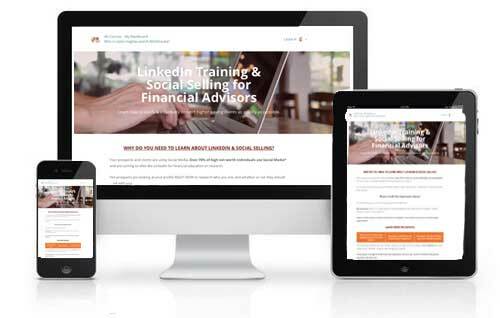 I and have worked with clients such as Guardian Life Insurance Company of America, Investment Planning Counsel, JLL, RBC (and more) to help optimize their professional presence online. I’ve was called a "Social Media Guru" on CBC Radio, and was interviewed on 680News and DeutcheWelle (Germany). I also appeared on CTVs “The Social” where I discussed how to "Maximize your Digital Presence". I published my book “CREATE. CONNECT. CONVERT” because I realize that many people struggle with how to use sites like LinkedIn to brand themselves properly. What is so cool about sites like LinkedIn, Twitter (and even Facebook) is that you have this unprecedented line-of-sight for sales opportunities. The idea of “Social Selling” doesn’t replace your existing sales process – it only ENHANCES it. I look forward to connecting with you an empowering you with knowledge and confidence so you can use LinkedIn properly to connect and convert higher-paying clients. Best time to plant a tree was 20 years ago. Click here if you're ready to get started!